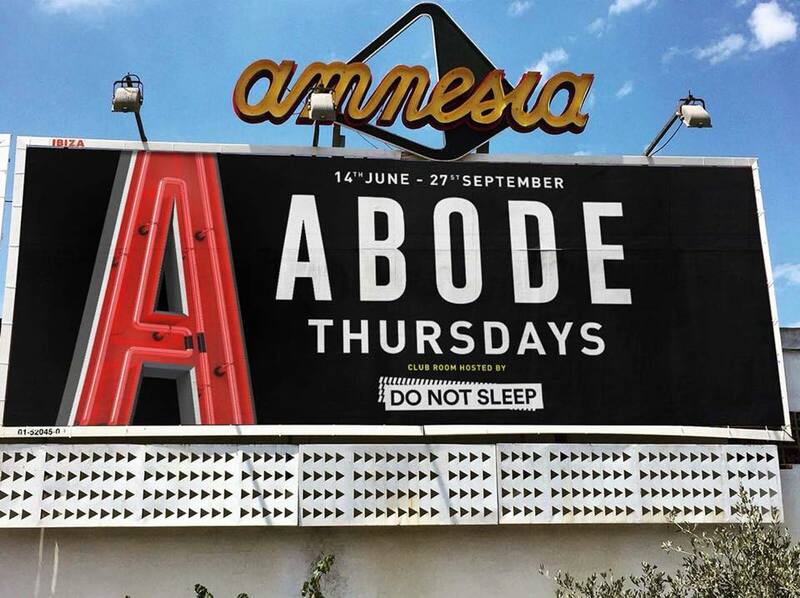 Leading UK party brand ABODE are taking over the famous Thursday night slot at Amnesia Ibiza, joining forces with Ibiza’s very own DO NOT SLEEP who will be hosting the Club Room from June 14th to September 27th 2018. 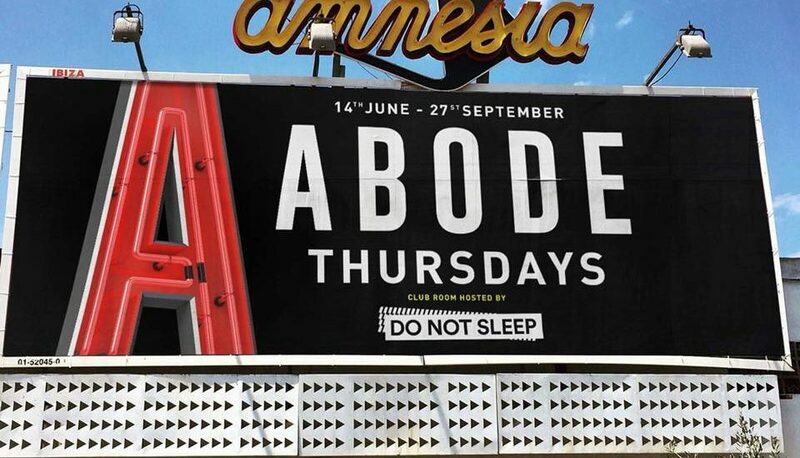 The first trip ABODE made to Ibiza was, strangely enough, a Thursday at Amnesia back in 2012, and since then we have seen how vital Thursday nights at the club have been, paving the way for parties and DJs to explode internationally. Expect the usual mix of esteemed and much loved residents and close ABODE friends and family to play each week. The vibe will be forward thinking, no nonsense underground house & tech, with immersive production and huge line-ups that bring something fresh to to the island, all in the vast and awe inspiring surrounds of the planet’s most celebrated club. Decoded Magazine caught up with four of the ABODE residents ahead of the Ibiza season and ABODE ON The ROCK Festival for their tips on how to be a successful club resident DJ. I think as a DJ, you should always play from the heart and stay true to yourself. Try not to always watch what other people are doing, as you can then lose yourself, then finding you’re not doing what you want to do. Take risks as even if they go wrong, I think you can still use that as a positive because it’s something you can learn from and understand yourself more. Last but not least, know your worth – this is super important, especially in the music industry! There’s a fine line between being arrogant & confident – make sure you get it right! My best advice for a resident DJ is to make sure you read your crowd for the warmup or closing. Never go in with the attitude of “this is what I want to play & how I’m going to play it” as you need to reflect the crowd and where they are at. Playing the warm up is a very important part to the night, make sure you set the mood correctly & hand over with the crowd wanting more! The Peak time slots are always a pleasure but still have to be executed correctly, I would always pick 3-4 tunes I want to play beforehand & then build my set around those tracks! And lastly, closing an event is the most important set time because you want to leave everyone with perfect memories from the night. No matter how many good tunes are played throughout the night they will always remember the last track. One of the main reasons why the Abode residents have done so well is because we are a team, we give each other advice on music we’ve made, sets we’ve played & help each other any way that we can, Healthy competition is always good and does make you perform better, myself & GW Harrison like to wind each other up constantly, but supporting each other at all times is what makes us family! As a resident, I think it’s important to take time out from behind the booth and in the Greenroom. Get amongst the dancefloor and show your love for the music and your fellow residents. It’s such a buzz when you see regular faces that have travelled all over to support you and the brand. I think that’s why we have created such a family vibe as we all enjoy creating new friends actually out on the dance floor. My first tip would be, when playing amongst a team of residents, like myself, is to try and be as unique as possible with your sound and DJ sets. Constantly strive to find ways you can improve your techniques behind the decks, to deliver powerful and memorable sets each and every time you play, to take not only yourself but also the brand, the team you play for forward, keeping every event fresh and interesting for the crowd. Secondly, I think your image is very important. Keeping press shots up to date and any media content should be new and fresh, making you stand out. It’s good to create and keep your own style, to all be individual within the team. Social media has a huge part to play for both, you as a DJ and the brand you represent. Having a presence online is important, it’s where most brands and DJ’s followings are now grown. What is the ABODE project?